Somewhere in my M Coupe’s previous owner history, someone decided to use a drywall screw to mount a front plate. So rather than the normal two screw holes in the bumper cover, I had three. The third wasn’t a clean hole either, the plastic gnarled by the too long screw used. I despise front plates, but was forced to run one to cover the unsightly blemish. But that was a temporary solution. 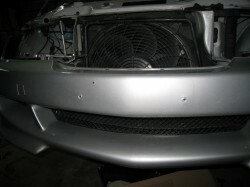 The more permanent plan; remove the front bumper cover and have it resprayed. This would also kill three birds, as I had a few curb scrapes along the bottom, and I also wanted to shave the USDM amber corner markers. I shaved the markers on my Spyder, and it looks far better without them. It’s even more desirable on the M Coupe, as the car already has fender indicators. So I went to removing the bumper. It’s very straight forward, only needing to reference the manual to see that there are two plastic blind rivets that must be drilled out. Everything else is either a screw or plastic expanding rivet (the reusable type.) The only other items that must be removed are the headlights, which are held on with three hex-head screws. 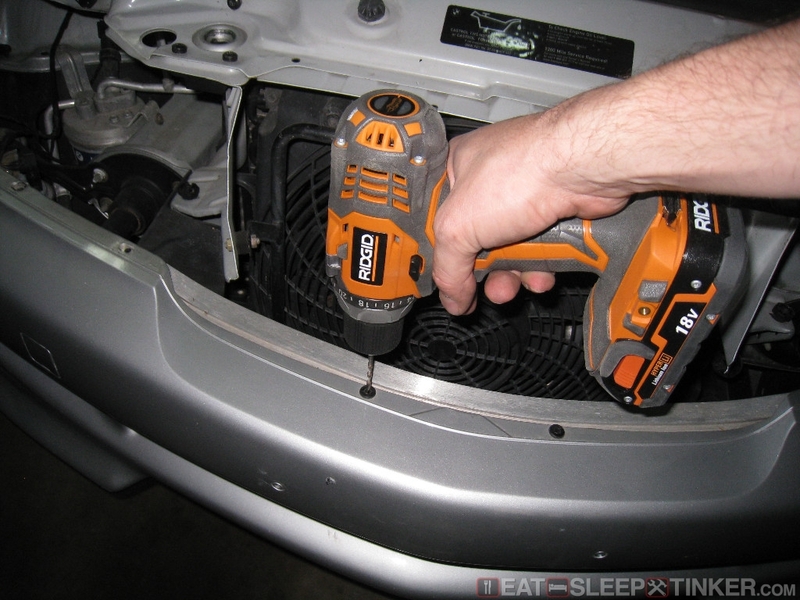 I used a 1/4″ nut-driver with two 3″ extensions. The only other pain is the lock washers holding down the grill insert. They aren’t meant to be easily removed and even when taking my time, I still managed to break a couple of the plastic prongs. Luckily it’s all hidden when installed. 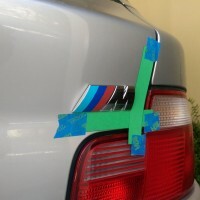 While the bumper cover is off, I wanted to do a little preventive maintenance to the height adjusters. I have read several occurrences of these freezing up due to corrosion. 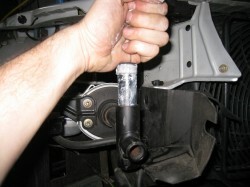 They are just a plastic insert that is threaded at the top, with a 14mm internal hex (Allen) adjustment on the bottom. You can raise or lower the bumper about 1/4″ or so up and down using these adjusters. 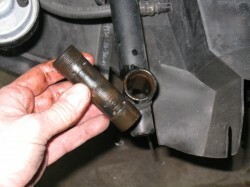 The problem is rust forms around the threads, making them difficult to turn. 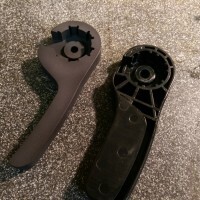 Since they are plastic, you are more likely to round out the hex than break them loose. 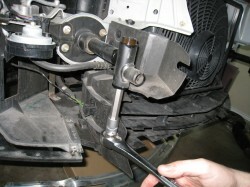 First you must remove the bolts that hold the bumper onto the shocks. These are a pair of long Torx 50 bolts, threaded in from the bottom. 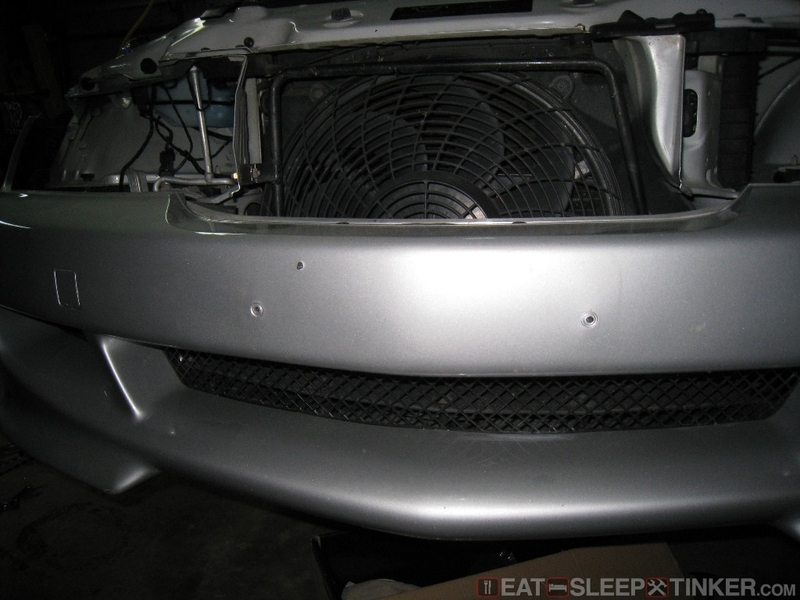 The nut on top of the bumper is permanently mounted to the aluminum bumper, so don’t attempt to remove it. 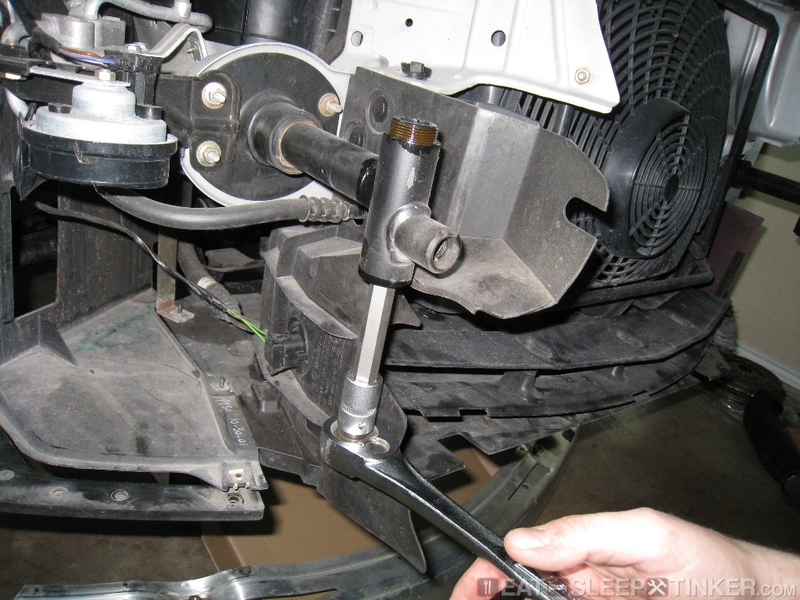 Once the Torx bolt is removed and the crash bar off, you’ll have access to the adjusters. I soaked them with some PB Blaster, then ran them up and down a few times using a long 14mm Allen socket (1/2″ drive.) They thread out from the top. Once out, I cleaned them up with some electronics cleaner (safe on plastics) then lubed them with white lithium grease. Threaded back in, they turn nice and smooth. 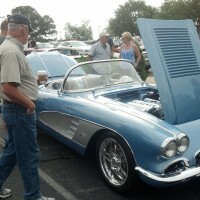 The grease should prevent rust from freezing the adjusters ever again.